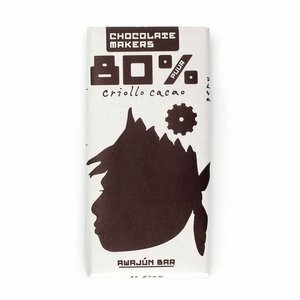 We are huge fans of dark milk chocolate and this bar doesn’t disappoint. 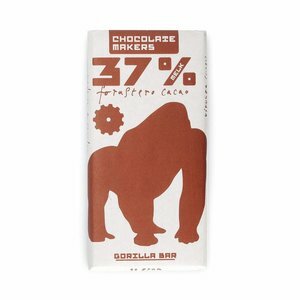 Perfect for those who love a nutty flavour, with just a hint of salt. 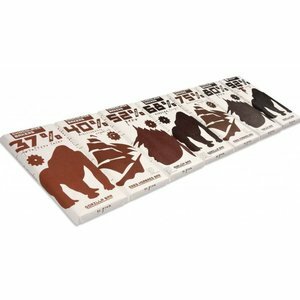 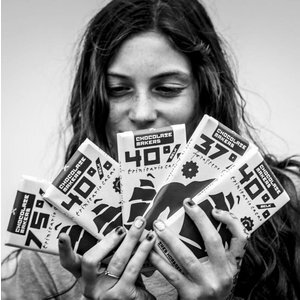 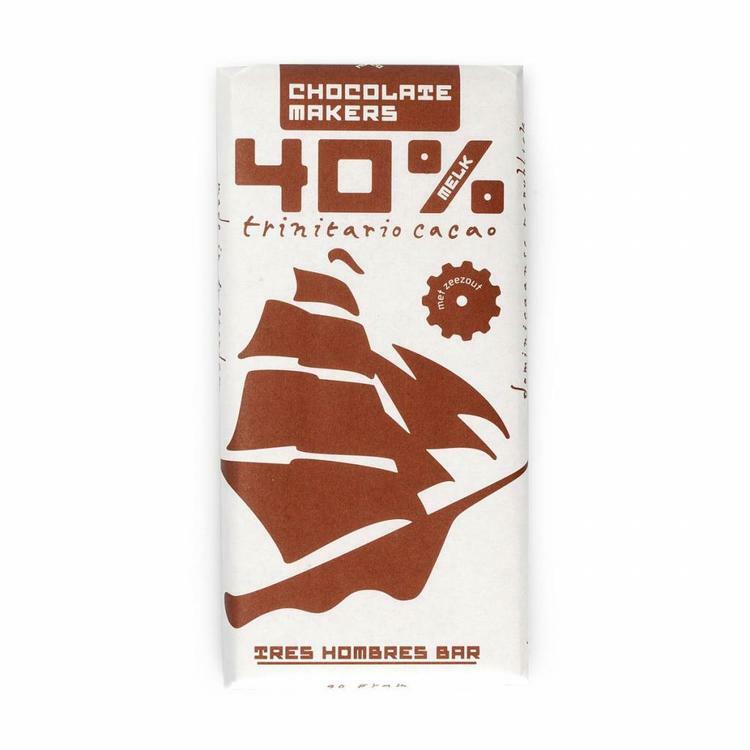 By eating this chocolate you support the Tres Hombres and opt for sustainable transport! Biting into this bar, it’s almost as if the cocoa beans absorbed some of the salty ocean air as they crossed the Atlantic. 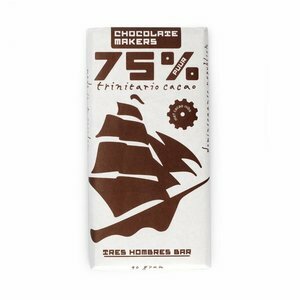 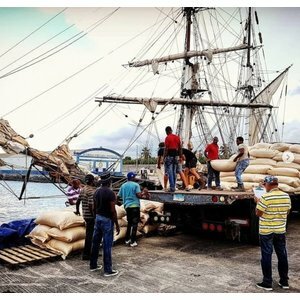 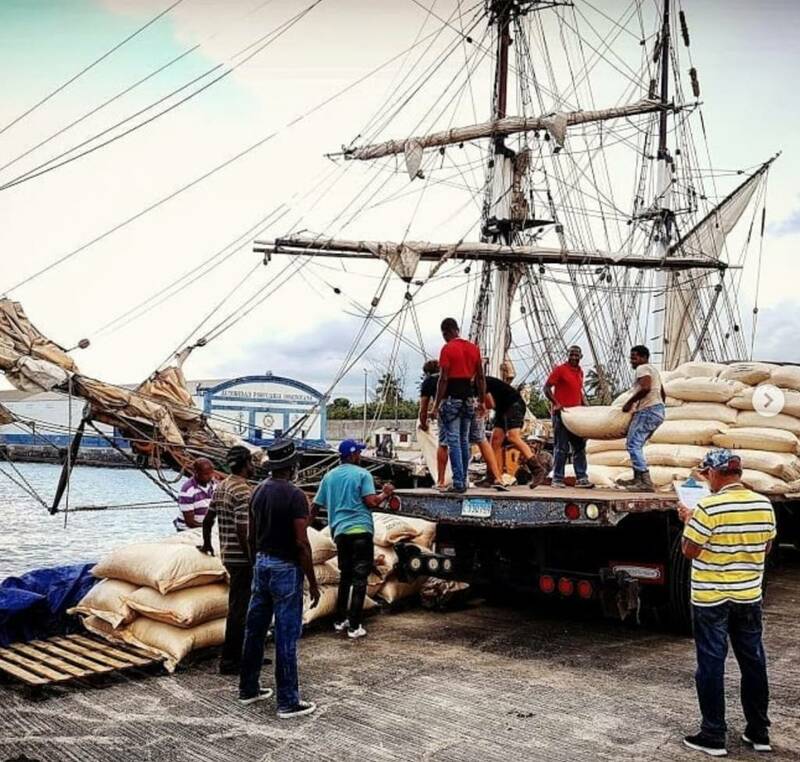 The cocoa beans for this particular bar are transported by sailing ship Tres Hombres from the Dominican Republic to Amsterdam, hence the name. 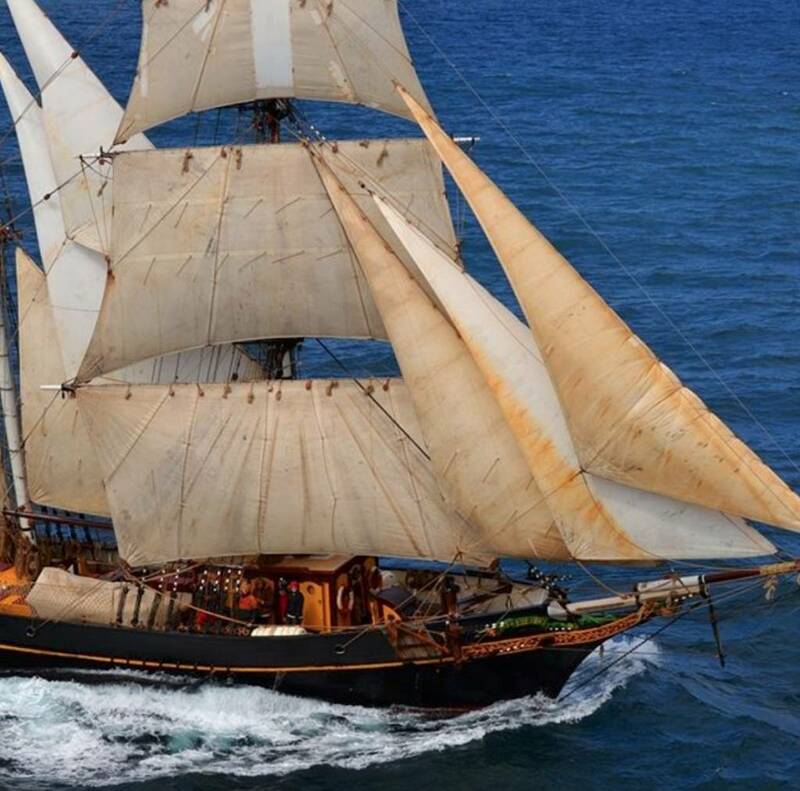 This traditional wooden sailing boat has no engine but relies on the wind and the waves to deliver its delicious cargo across the world. 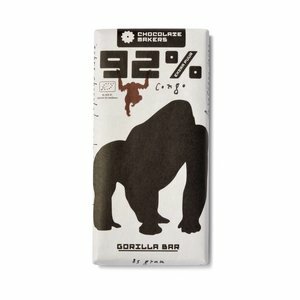 As a result, this bar is not only Fairtrade but almost carbon neutral as well. 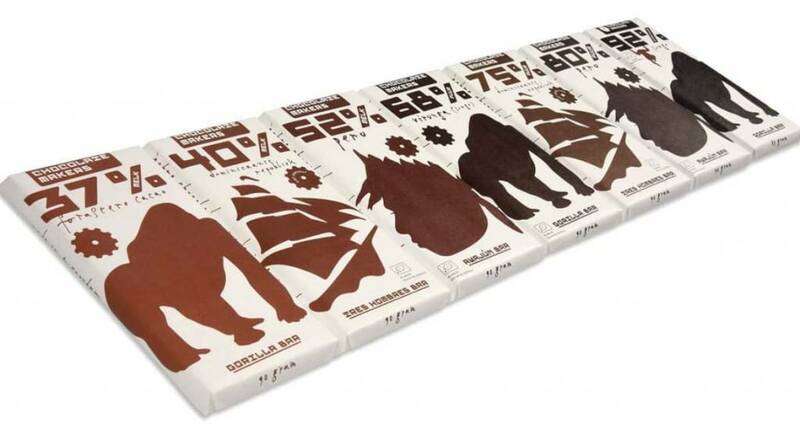 It’s a 40% milk chocolate with a rich and creamy taste. 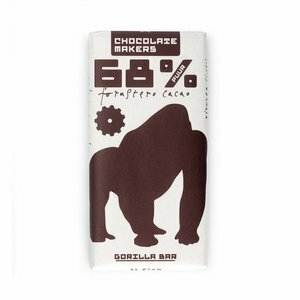 The touch of added sea salt cuts through the sweetness and enhances the flavour of this delicious bar.We think Chocolatemakers’ passion for both quality and environmental responsibility shines through in their chocolate, and we’re sure you’ll enjoy it as much as we do. The Bio 'Tres Hombres' milk contains 40% cocoa beans, 25% milk powder, 24% sugar, 11% cocoa butter and 1% oak smoked sea salt.